You are here: Home / Uncategorized / Commercial Asphalt Maintenance – Last Call Before Winter! Commercial Asphalt Maintenance – Last Call Before Winter! 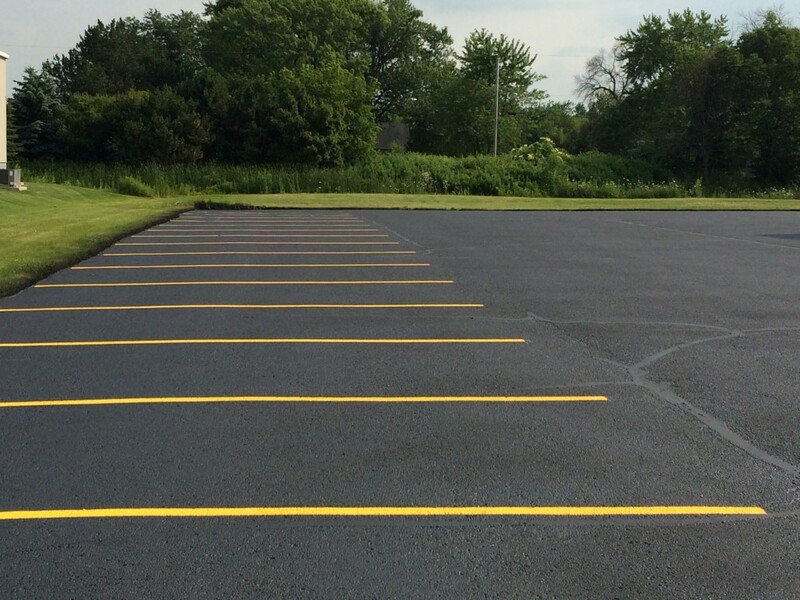 There are a range of benefits of asphalt seal coating. One of the main benefits of doing it PRE-WINTER is to protect your investment from the harsh effects of the winter moisture. Winter is bitter in Wisconsin and the freeze/thaw process is rough on your asphalt. If you notice cracks and imperfections – it is best to get your asphalt seal coated before further damage can occur causing more costly repairs or the need for a full new pavement. Often asphalt maintenance is over looked by property management. It is important to keep your businesses lot in quality condition not only for aesthetic purposes but to save you on costly repair and replacements. What does asphalt maintenance include? Why should a property owner have their asphalt seal coated? The number 1 reason is for PROTECTION. From the moment your new asphalt is laid, it starts the oxidation (or deterioration) process due to sunlight, water and other elements. Sealcoating provides a protective coating to prevent oxidation from happening so rapidly. It also provides a protection from gasoline, oil and de-icing salts that can speed up the damage to asphalt. It is a process where coal tar emulsion (or asphalt emulsion) is professionally sprayed or brushed over your asphalts surface providing a protective and visually appealing coat. Armored Sealcoating ALWAYS applies TWO COATS to lengthen the time of use before wear. Crack filling is an important aspect of asphalt maintenance typically necessary BEFORE seal coating. When oxidation occurs, the ground settles, or there was a fault in the base design – Your asphalt will crack. Once your asphalt cracks, exposure to water and elements is increased. This can lead to pot holes, larger scale cracking and asphalt depressions. In order to fill these cracks, your professional asphalt crack filler will pour a hot tar substance to fill and prevent further water penetration and damage. All debris is removed prior, and then the tar substance is squeezed into the cracks to fill and provide a temporary yet substantial fix. Armored Sealcoating applies TWO coats to every asphalt sealcoating job we do to lengthen the duration and allow for maintenance less often. We suggest ever 3-5 years vs. the typical one coat 2-3 years. Contact Armored Sealcoating for your free commercial asphalt maintenance quote today.